The New Ducato Conversion offers a range of powerful engines, efficient in terms of consumption and emission, dynamic and environmentally-friendly. The Ducato is available with 4 Euro 5+ engines in 115, 130, 150 and 180 HP power options, so that you can always be sure of the performance which best suits your transport needs. Available in 115, 130 and 150 HP power options. The most economical and ecological option: perfect for light and heavy goods, on medium-short urban and extra-urban journeys. 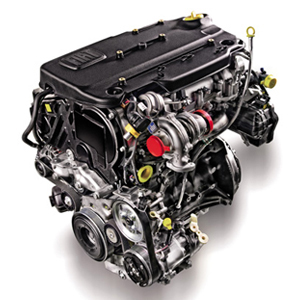 – Electronically controlled Common Rail MultiJet II direct injection with turbo and intercooler. – Pistons with cooling channel for higher torque levels. – Light and economical: only 180 kg, for guaranteed lower fuel consumption and higher capacity. – Scheduled servicing every 48,000 km. Flexibility, easy driving and optimum acceleration, even with heavy loads: the ideal engine for mixed use in all circumstances. – Available with Start&Stop system on request. – Low emissions: system with EGR (Exhaust Gas Recirculation) valve and DC Motor for partial recirculation of exhaust gases. More power and more torque for a prompt response and dazzling performance, offering the optimum balance of power and fuel consumption, along with reduced emissions. 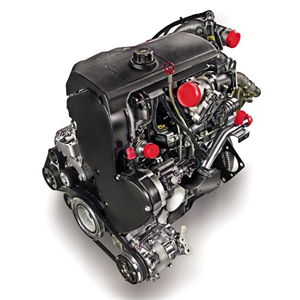 – Electronically controlled Common Rail MultiJet II direct injection with variable geometry turbocharger and intercooler. - Also available with Comfort-Matic robotised gearbox. 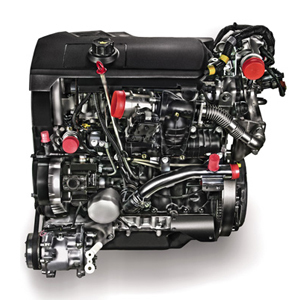 service intervals of up to 48,000km with the MultiJet II Euro 5 engines. Suggests when to change gear for optimum use of the engine, ensuring immediate savings in terms of cost. All the functions which guarantee comfort and safety on board the vehicle remain active (climate control, radio, windscreen wipers). Available on the MultiJet 130 and 150 HP engines. The automatic robotised gearbox with 6 gears plus reverse. automatic Up for tackling gradients with a full load. manual for fully customised driving. to guarantee maximum efficiency with a full load or uphill, use the UP key, which optimises gear shifts and provides more thrust or brakes the engine depending on the circumstances. *Available on the 130 MultiJet, 150 MultiJet and 180 MultiJet . Less risk of damage means more time and money saved. 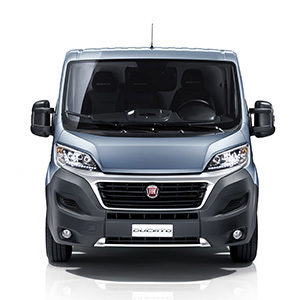 The Ducato has been designed to minimise the risk of damage and to increase your productivity. A three-part bumper: the individual sections can be easily replaced in the case of any damage, with lower repair costs compared to a one-piece bumper.